Zespół Pieśni i Tańca Świerczkowiacy reprezentował Polskę na Międzynarodowym Festiwalu FOLKART w Mariborze, w dniach 28.06-5.07.2015r. Wystąpili obok artystó z: afrykańskiego Beninu, Bośni i Hercegowiny, Panamy, Singapuru, USA oraz Słowenii. Ideą festiwalu jest prezentowanie różnorodności kulturowej świata. Zespół Pieśni i Tańca „Świerczkowiacy" powrócił ze słoweńskiego tourneè. Brał udział w 27 Międzynarodowym Festiwalu Folkloru FOLKART 2015 w Mariborze w Słowenii. Organizatorzy festiwalu poszukiwali polskiego zespołu a Świerczkowiaków rekomendowała polska sekcja międzynarodowej organizacji folklorystycznej CIOFF. Podczas tegorocznego FOLKARTU wystąpiły także zespoły z afrykańskiego Benina , Panamy, Hawajów, Singapuru, Bośni i Hercegowiny oraz Słowenii. Na tle tak różnorodnych kultur Polacy prezentowali się znakomicie. Gromkimi brawami kończyły się prezentacje tańców góralskich z regionu Beskidu Śląskiego i Żywca. Polski folklor niezwykle żywiołowy i trudny do zatańczenia czy zaśpiewania zyskiwał ogromne uznanie publiczności zgromadzonej w górzystym Mariborze. Koncert inaugurujący festiwal odbył się na deskach Słoweńskiego Teatru Narodowego. Świerczkowiacy zatańczyli żywiołowo finalizując to wielkie, folklorystyczne widowisko. Ich pierwszy występ obejrzała ponad tysięczna publiczność zgromadzona w Teatrze i ta oglądająca transmisję telewizyjną. Polski folklor był przyjmowany przez publiczność owacyjnie. Świerczkowiacy uczestniczyli w licznych paradach ulicznych, pokazach na placach, stadionach a nawet na pływającej tratwie. Wzbogaceni o nowe doświadczenia - umiejętność hawajskiego tańca hula i podstawy języka benińskiego Świerczkowiacy powrócili do Tarnowa. Przerwy wakacyjnej zespół mieć nie będzie ponieważ odbywa próby do koncertu podczas „Święta Owoców" organizowanego w Pleśnej 12 lipca, pracuje nad nagraniem płyty powstającej w ramach Mecenatu Małopolski i przygotowuje kolejne sierpniowe koncerty. To dobry czas dla Świerczkowiaków! 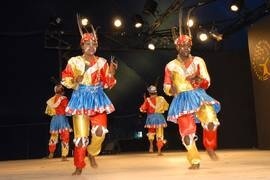 Group Towara was formed in 1992, after merging two folklore groups with different programs. The newly formed group brought together the culture of the southern and northern part of Benin. 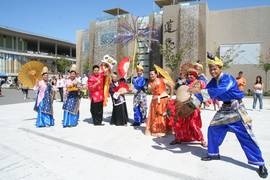 The fusion of rich and traditional ways of presenting their customs made the group's repertoire remarkable and exciting. The group consists of professional dancers and musicians. 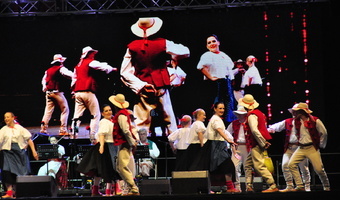 Their special feature is presenting traditional dances from all regions of the country, performed with a unique energy and passion that people from Panama are known for. 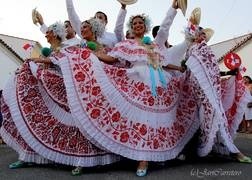 It is impossible to forget the beautiful national costumes, called "La Pollera", lively rhythms, joyful singing or Panama's distinctive vocal style "saloma." Singapore, also known as the "Lion City", got its name after a mythical creature that symbolizes the turbulent history of this part of the Malay Peninsula. 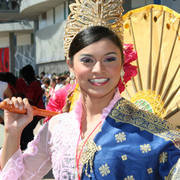 The area is also home to Sri Warisan, Academy of Dance Arts, which was founded by Mrs. Som Said. The traditional dance group, formed in 1997, soon became one of the most powerful groups on the traditional dance scene in Singapore. Combining the rich traditional forms and modern dance techniques with artistic expression remains the group's main feature. This academic folklore group has always been in an international environment. Sarajevo, a culturally rich and colorful city, is the right environment for continuous development and high quality growth of folk traditions. Despite the presence of tensions between different Balkan nations, the groups managed to survive the bloody civil war, which suppressed the majority of other cultural events in the country. The members are young, creative artists that represent their history with pride. Their repertoire covers all areas of Bosnia and Herzegovina. 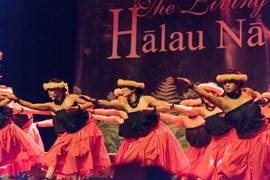 The group was founded in 1997, with the task of respecting and maintaining the tradition of the "hula", Hawaiian culture and its traditions. Hālau regularly participate in various festivals, parades and competitions. They have received many awards for their contribution to the community. Their traditional hula dances are performed in "kahiko" antique style or "auana" modern style. The dancers and musicians bring the audience on a trip trough different periods of Hawaiian history and tell stories about their ancestors and the beauty of Hawaii. The group is based in the Art Center Mościce in Tarnów. In the last 50 years, the group has been preserving the legacy of regional customs and traditions of Poland. They organize activities for children, youth and adults, with the emphasis on archiving the ethnographic materials and working with experts, ethnographers and experts on folk traditions. They regularly perform at folklore festivals all around the world, where they present Polish traditions with passion and energy. 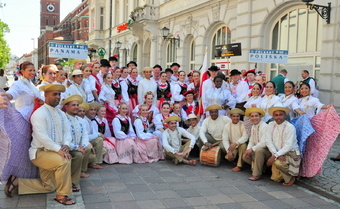 The folklore group from Maribor is one of the best academic folklore groups in Slovenia. Last year, they celebrated 50 years of existence. For the last 27 years, they have also been co-organizer of Folkart, which has became one of the best folklore festivals in Europe. Working with Narodni dom Maribor, they coordinate foreign folklore groups during their stay in Maribor and help them create wonderful memories during their time here. 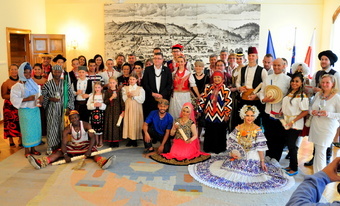 Members of the AFS Študent are committed dancers and ambassadors of Slovenian folk tradition, making sure the tradition of the older generations will remain part of the performances at home and abroad. This productive group successfully preserves the folk tradition and is active in the field of folklore. They perform dances from different parts of Slovenia and use costumes of Styria, Prekmurje and Goričko region. The members are adult musicians, dancers, and singers, which all bring something unique to the group. They have received many awards and prizes, which shows their work is appreciated at home and abroad.